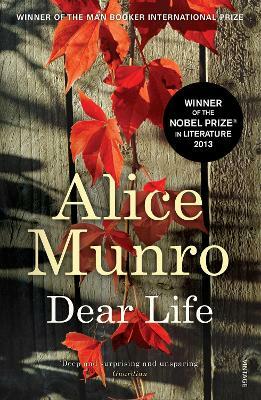 **Winner of the Nobel Prize in Literature** Alice Munro was born in 1931 and is the author of thirteen collections of stories, most recently Dear Life, and a novel, Lives of Girls and Women. She has received many awards and prizes, including three of Canada's Governor General's Literary Awards and two Giller Prizes, the Rea Award for the Short Story, the Lannan Literary Award, the WHSmith Book Award in the UK, the National Book Critics Circle Award in the US, was shortlisted for the Booker Prize for The Beggar Maid, and has been awarded the Man Booker International Prize 2009 for her overall contribution to fiction on the world stage, and in 2013 she won the Nobel Prize in Literature. Her stories have appeared in the New Yorker, Atlantic Monthly, Paris Review and other publications, and her collections have been translated into thirteen languages. She lives with her husband in Clinton, Ontario, near Lake Huron in Canada.